This quilt is easy enough for a beginner but creative enough for any quilter to make! 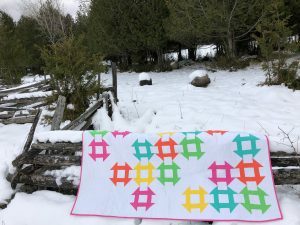 Using the churn dash block and easy piecing techniques, this will be a great lap quilt for any couch! 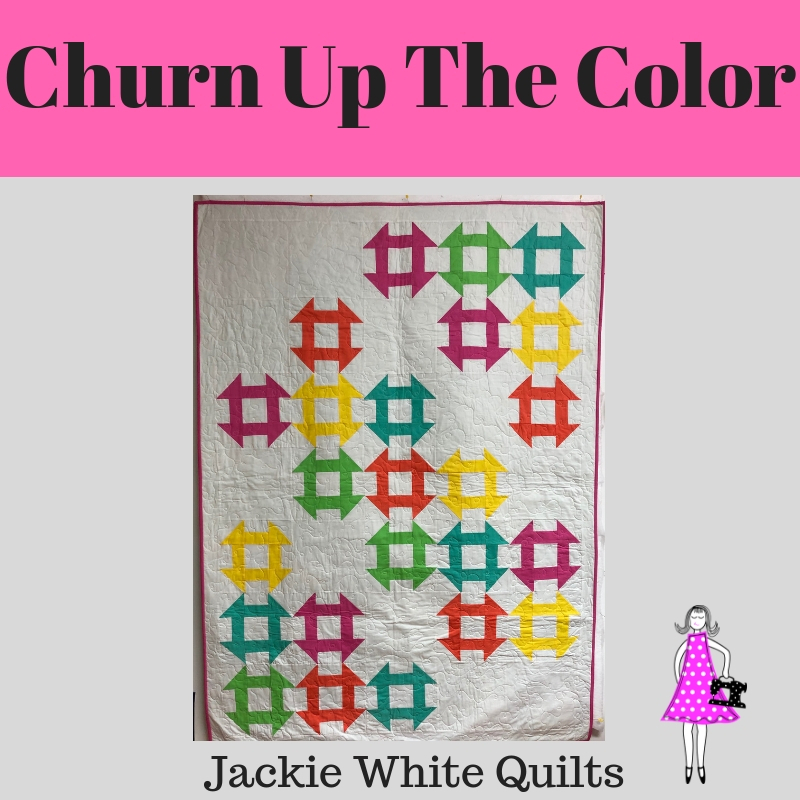 Churn Up the Color is a fun quilt using the traditional churn dash block. By bringing it alive with vibrant colors you can create a super lap quilt! Use solids, scraps or prints and this quilt will be a great addition to any home.